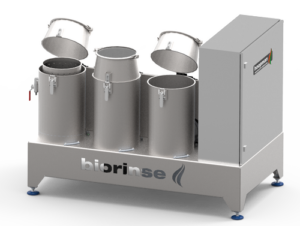 The BioRinse LAB system is designed for testing / developing liquid treatment protocols such as hot water treatment and rinsing protocols. The system can also be used to do small productions and/or treat small seed lots. The “base” of the system is a 6L drum, suitable to be used for up to 3l of seeds. The seeds will stay in this drum during the complete process, the drum can be placed from the rinsing station, into the centrifuge and then into he dryer. This means the seeds go in dry and at the end of the process the seeds are dry again. The disinfection of seeds for agriculture and horticulture is important to grow good plants, either at the plantbreeder’s greenhouse or on the field. 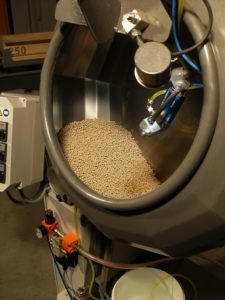 Because of the unique hotwatertreatment, the skin of the seeds will be treated and it will not have any negative effects on the germination of the seeds. Compared with the current (chemical) disinfection method, the hotwatertreatment brings a number of benefits. This includes quality gains, energy saving, less emission of harmfull substances, reduction of waste gases and a faster process. Besides that, the possibly excess treated seed doesn’t need to be drained as chemical waste. 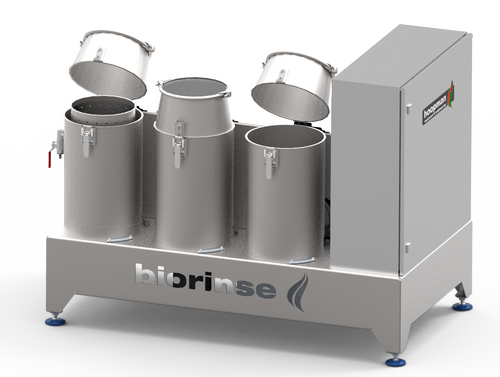 The BioRinse method is especially focused on the efficient running of long known hot-water treatment. The implementation of the BioRinse-installation ensures that each seed undergoes an identical hot water protocol. Both systems work of dry seed to dry seed; this also gives many logistic and quality benefits. Priming effect: in tests with the BioFlash are also germ-accelerating effects. This makes sense because the superheated steam has a controllable abrasive effect on the seed skin; the dried back seed will faster absorb water at germination. Waterabsorption is the most important start of germination. For this way of treatment Hoopman has developed 2 new machines: the BioFlash and the BioRinse. 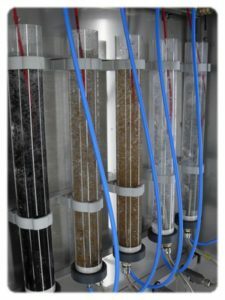 Hoopman Equipment & Engineering BV, based on years of practical experience, has developed and sold various liquid matrix treatment systems. Liquid matrix priming is very common practice for many seed priming protocols, particularly for small to medium batch/lot sizes. Seeds can be primed in water + additional components for osmotic potential control + dormancy breaking substances etc. Liquid matrix disinfection is also a very common practice and part of many seed disinfection protocols such as the (approx.) 45 minutes (approx.) 45 °C ISTA hot water treatment. During many of the above protocols separation of floating/sinking seed is relevant. Our systems can be supplied with decanting and/or draining systems to perform such separation exercises consistently and according to GLP standards also taking labour (safety) conditions in mind. For more information on our Multi Functional Liquid Matrix Seed Treatment Systems fill in the form below and a link to the PDF-file will be shown. The Priming Cabinet is a multi-functional priming system which is perfect for developing liquid matrix priming protocols. Due to the design the cabinet is easy to use, each priming cylinder can be easily placed with quick connecting clams. With a heating element the individual temperature inside the priming cylinder is controlled, by adding compressed air to the process the seeds are homogenously mixed for the best priming results. Each cylinder can run with its own day/night and temperature regime for testing several protocols at one run. We can also supply a “sophisticated” control system with logging to have more sight on the complete process. 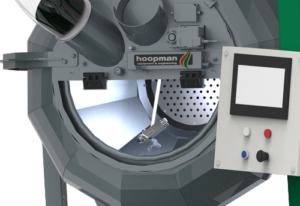 Hoopman Equipment & Engineering b.v. offers various systems for calibrating and sizing. For sizing of pelleted seeds, we can offer you the CSS-400 drum grader which is easy to operate: sieve change without any tool. If you want to size / calibrate seeds with the highest level of accuracy, then our VCS-600, a vibrating callibrating system, would be a good choice. In this section you find more information about our coating machinery. If you want to coat small lots of seed and do it manually you should look at our Pan Coaters. If you want to coat bigger amounts of seed, or even thinking about automatic coating you should look at our rotary coating equipment. The Drumpriming Quattro System is a simple and straight forward designed drumpriming system for up to 6 cylinders of 6L gross volume. The top doors can be easily opened so that the drums can be put onto the rotating system. After closing the doors the rotation can be started. Safety switch in the door system. As soon as the doors are opened, the rotation will stop automatically to protect the operator from rotating parts. Hoopman equipment & engineering b.v. delivers many different dryers, for small quantities up to big fully automated dryers. 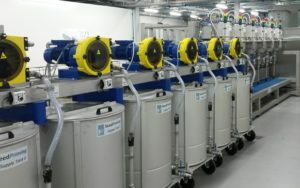 One of our new developments is the rotary fluid bed dryer. This dryer combines a high capacity with a compact design. 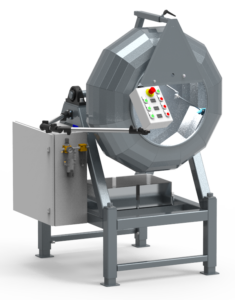 The RFBD in combination with a rotary coater makes the perfect combination for a continuous automatic coating system. One unit, many possibilities. That’s the Multipurpose Primingunit. Hoopman delivers several different priming units and has the possibility to make them meet your needs. Available in a large variation of modules and sizes. More information about our Multi Functional Matrix Seed Treatment System? New technical design, long-life/wear resistant and better interchangeability at service! In recent decades, the rotary coating developed and has become a standard for efficiently and accurately coating. The principle of a rotary coater is based on a mixer, but without paddles or other moving parts that could damage the seed. 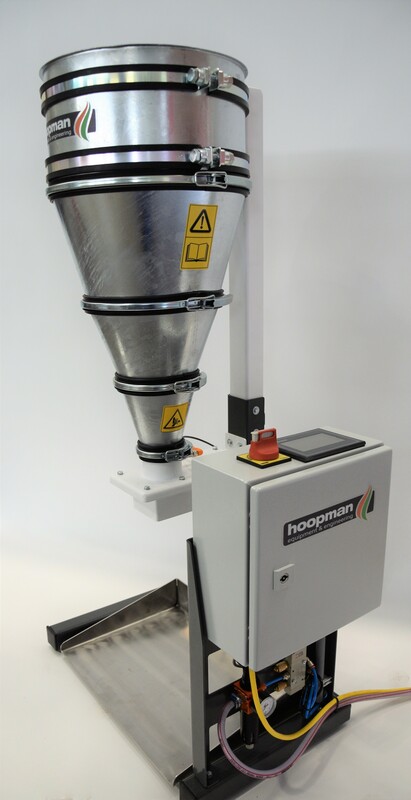 Why a coater of Hoopman Equipment & Engineering? Hoopman equipment & engineering b.v. has more than 35 years of experience in the coating of seeds and making machines for coating of seeds. This makes the details of the machines based on years of user experience. 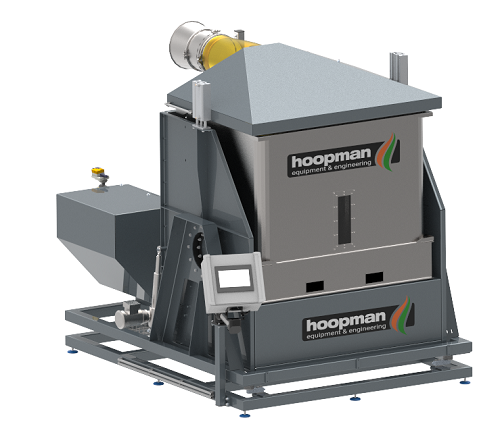 In 2015 Hoopman delivered a complete automated film-coating line for up to 1000kg/hr of vegetable seeds. In this case the customer asked for an installation for small and big quantities of seeds. This results in a double setup with a single and double drying line. The double dryer line gives the customer the possibility to quickly switch from one specie into the next. While one dryer is still running the last batch the other dryer can already start op the next. And he can use this same line to still have a high capacity with hard to dry seeds. Besides a high flexibility the line is equipped with our SLSS Liquid system. Due to this SLSS system pre mixing of liquids is not necessary. All individual products will directly be dosed into the coater through a small static mixing device. This makes switching between protocols even more easy. All components are controlled by a central PLC with a HMI screen which gives the operator al necessary information about the process. The layout of this control panel is intuitive which makes it very easy to work with. 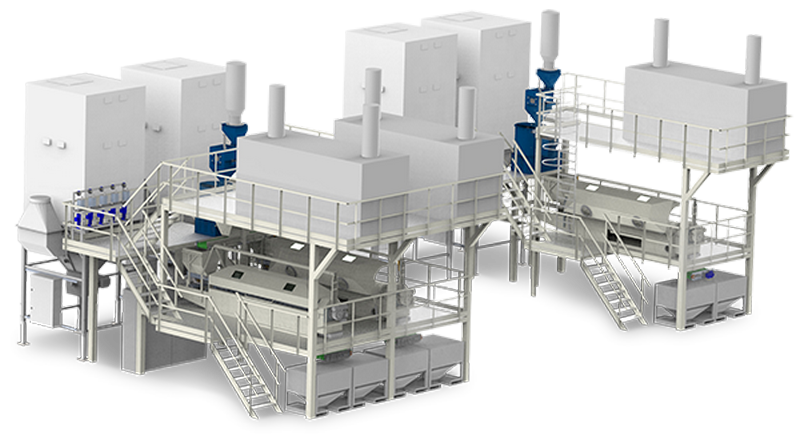 Flexibility, productivity and easy are a couple of our key points while engineering coating plants. The HR350 is very suitable for small laboratory testing on “production” scale to test and/or to develop protocols for the larger production lines. The fully automated version can do productions of up to 300 l/hr. The HR350 is like the larger models equipped with our special design whereby the space between rotor and stator easy to adjust and quickly replaced in case of wear. The HR350 is available as “basic” but also as fully automated production machine. The HR600 is the most commonly used format rotary coaters. This is ideal for processes of medium to large seedlots/orders. The HR600 seed coating capacity is, depending on seed/recipe, about 800-1200 litres seed per hour (based on a 45s batch time and a polymer/pesticide slurry application of 35 g/kg). The HR600 is available in different types, ranging from complete manual control to a fully automated machine. 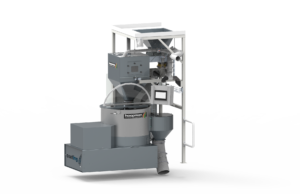 The HR800 is highly suitable for medium production lines for both encrusting as film-coating. 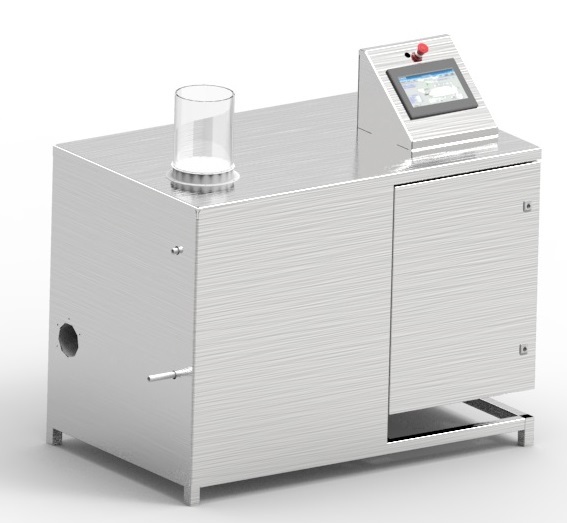 The HR800 may vary depending on the desired Setup configured with multiple supply components such as liquids and/or powders. The HR800 can coat, depending on your recipe, about 800-1200 litres seed per hour (based on 45s batch time and a polymer/pesticide mix of 35 g/kg). The HR800 is available in different types, ranging from complete manual version to fully automated machine. In addition, Hoopman equipment & engineering can custom build HR800 machine/installations. The HR-1000 is highly suitable for medium production lines for both encrusting as film-coating. 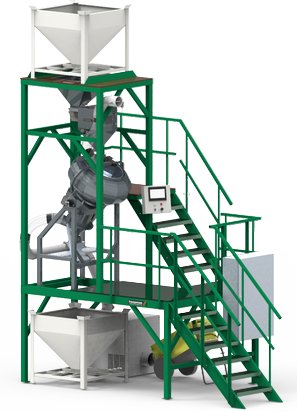 The HR-1000 may vary depending on the desired Setup configured with multiple supply components such as fluids and/or powders. 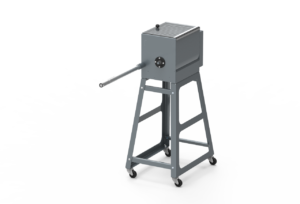 The HR-1000 can coat, depending on your recipe, about 2500-5500 litre seed per hour (based on 45s batch time and a polymer/pesticide mix of 35 g/kg). The HR-1000 is available in different types, ranging from complete manual control to fully automated machine. In addition, Hoopman equipment & engineering custom machines HR-1000. Filmcoating has basically taken over all conventional powder or slurry based seed dressing. The challenge of today are to maintain advantages of the high output of the rotary coating systems with an efficient continuous drying system. 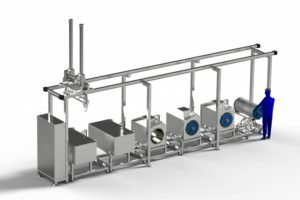 In stead of using large static dryers or high cost vibratory dryers, the e&e Continuous Rotary Fluid-bed drying system combines the speed and efficiency of a fluidised bed system with the simplicity of a continuous rotary drum dryer. This brand new and unique system is now available for testing in our facilities in Holland. For high value vegetable- or low volume stock seed, ‘pan pelleting’ is still a common or even the preferred choice. This flexible and easy to use drying system is specially made for drying of non-threshed corn earns or other non threshed seed. However it can also be used to static drying of a multitude of different, smaller seed lot. You simply connect a moveable stack of containers onto the machine and start the drying process. The CDS system has 10 connections for 10 individual carts, with an automatic closing valve. When you disconnect a cart by pulling it out of the machine, the connection will automatically be closed. The fan speed is regulated with a frequency controller so you can set the amount of airflow trough the seeds. A thyristor regulated heating system regulates the temperature of the airflow. 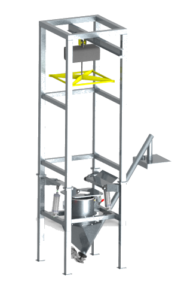 The PC-S has been developed specifically for the pelleting of flower seeds and vegetable seeds small parties (20-250 g per batch). 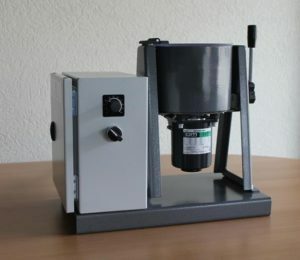 This makes the machine ideal for small batches of pelleting for example, in a laboratory environment. 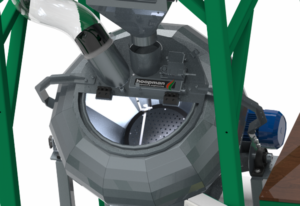 With our segmented panmanual mixing is no more necessary, because of the corners the seed mixes by itself. The combination of the standard delivered liquid syringe with optional fluid pump ensures that there is a homogeneous beam on the seed. Along with the PF-35 powder dosing device, which is a very homogeneous powder output has what looks like a powder curtain, you have the best machine for your conventional pelletingproces. By the design of the front plate with suction you have optimal access to the pelletingproces. The lighting and the flexible head machine will make sure you get to follow the process and affect. The machine can be equipped with various standard operating possibilities. A “basic” on/off model to an extensive panel where you will find all the functions at your fingertips. 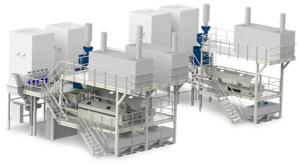 The Automated Batch Drying System combines highly efficient fluidised bed drying with ‘single batch containment’ advantages. This system is especially used for combined coating/ drying of pelleted product. If pelleting time for example is 15-20 minutes, an accumulated 4 batches can be dried in about 60-80 minutes. Systems of 60 – 600 ltr. per batch are available. This results in fully automated coating/ drying systems with a capacity of 120 – 1800 ltr per hour coating/ drying capacity. Another huge advantage of the design is that real-time weighing can take place during the drying in order to have absolute and continuous moisture control independent of often inaccurate in line/real time humidity control. The dryer empties out 100% because it rotates 180 degrees so there is no cross contamination between batches! Normally vibrating fluidised bed systems are, when compact, extremely costly or when simply built (reciprocating drive) extremely long. The e&e Automated Batch Drying System is extremely compact, efficient and moderate in cost. If you want to know more about our automated batch dryer, please contact us. 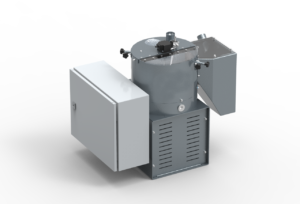 The FBL is one of our smallest dryers, which should be in every seed coating/pelleting laboratory. It is specially made to dry small seed lots with the fluid bed principle. The new design makes the FBL capable to dry lots from 0.2 to 8 litres. (Depending on products used). Because of the temperature controlled integrated heating system the seed temperature is monitored during the drying process. The material cylinder is easy to change, just pull it out of the machine, empty it, and put in the next sample of seeds. 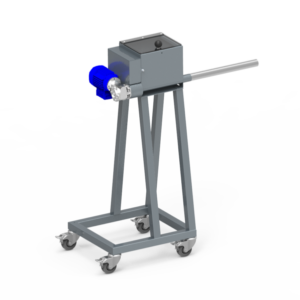 Optionally a smaller cylinder can be delivered to dry lots from 200gr up to 2 liters. Because of its technical design the noise of the dryer is very low. 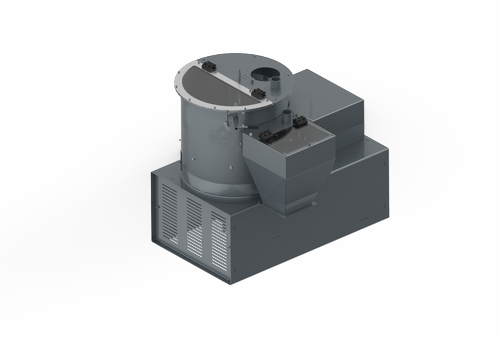 The frequency controlled fan in combination with the isolated air outlet makes it a very userfriendly machine. This is very important for most of the laboratory equipment. 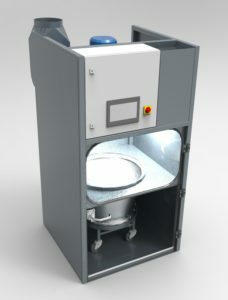 The Fluid Bed Mobile Dryer is one of our most flexible dryers available, it can dry almost everywhere in your company. It just needs a power connection and it is ready to dry. With the internal heating system combined with a PI controlled thermostat the temperature of the seeds never get to high. The simple operating panel is very easy to use, just set the right amount of drying time or dry constantly. A valve on the air fan makes the airflow adjustable so you can set it to an optimal fluidized bed. After the drying process you release the drying container and empty it into your next process step. 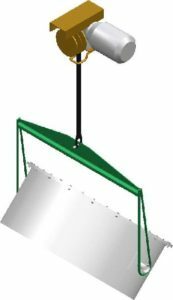 For the emptying out of the aluminum material hoppers we have a special lifting device available, see the MCED in this catalog. 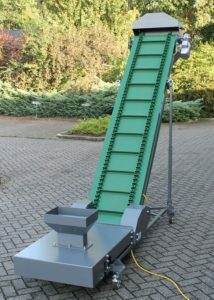 The pancoater is still one of the preferred and most widely used machines for conventional pelleting. A key advantage of our pan coater is the special segmented pan. This creates an optimal mixing/movement of the seed, even directly after starting. Mixing by hand by the operator is no longer needed. With our segmented pan there is no manual mixing more necessary because of the angles, the seed/coating materials mixes by itself. The combination of the standard delivered automated spray-gun with optional fluid pump ensures that there is a homogeneous spray on the seed. The optional PFR60 powder feeder, which has a very homogeneous powder output, that even looks like a ‘powder curtain’. With this package you have the best system for your conventional pan pelleting process. Yet another great advantage of our pan coater is the dust extraction through the center/back of the pan. This brings the user/operator not in contact with the dusty process. This means also that there is a better access through the front. Together with the standard included halogen lamp this secures an optimal operator view of the process. The default control box is equipped with a start/stop and speed setting for the pan, liquid-pump/spraygun and powderfeeder. On request, we can also deliver an electric pan angle adjustment. To make the emptying of the material containers more easy, we have developed an adaptable Material Container Emptying Device. We have several standard mounting options available, for example one you simply mount on a wall or one that can be mounted on the building ribs. 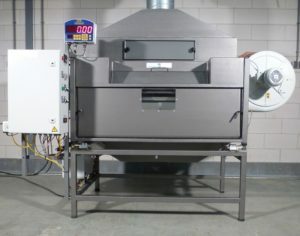 The FB Cabinet Dryer is one of our cabinet dryers especially made for customers who want to dry pellets or naked seeds in a simple-straight forward Fluid Bed Drying principle. We make this system modular, which means that it can be upgraded to a fully conditioned and weather-independant system. The FB Cabinet Dryer uses the same material container as the FB Mini Dryer, but the FB cabinet has an advantage that it can be coupled to a dust-extractionsystem and being equipped with a conditioning system. Each FB Cabinet system is standard equipped with a PLC and 10″HMI control system. This system gives you the opportunity to log drying details and store and repeat drying protocols. To ease the emptying of the material containers, we deliver a special system. For more information about this system see our MCED. Our Sample Cabinet Dryer is a static dryer specially made to dry more than one sample at the same time. 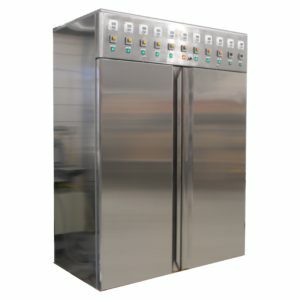 Because of the design of a closed cabinet there will be no airflow going into the working space, just connect an exhaust system to the dryer. Two sliding doors in front of the machine gives you the access to the left part of the dryer, or the right part of the dryer. The airflow trough every tower of drying cylinders can be adjusted by the valves in front of every tower. The compact design gives you the opportunity to transport it trough normal office doors. And because of the flexibility and optional material cylinders you can dry up to 5 liters of seeds in one bin. This dryer is perfectly to dry several batches together. 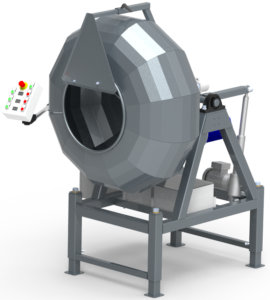 The BD-300 is designed for drying bigger lots of coated, pelleted or treated seeds. The technical design is basically our BDS drying system but with all advantages of a removable drying box. This gives you the opportunity to load one box while the other box is being dried. The boxes are designed to fit in already existing hot-water treatment plants for wooden boxes. Hoopman equipment & engineering b.v. provides different sizes powderfeeder. One of the most widely used is the PF38, which is specially developed for our pan coater. The blade in the powderfeeder ensures that the mixture of powder remains continuously mixed to prevent separation. A mortar then transports and doses with a homogeneous flow. 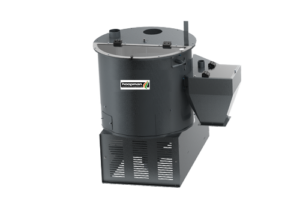 The PF38 is one of the most widely used powderfeeders from our series. This doseur has a capacity of approx. 0.1-2.6 l/min which is great in keeping with the necessary capacities for a typical HR600 or PC-L process. In addition, this to provide different default doseur transmissions whereby the proceeds can be perfectly adjusted to your specific process. All PF dosators are equipped with a mixing arm for prevention of separation this ensures that the different components cannot UN-mix during the pelleting and/or coatings process. For complete automatic systems there are loss in weight and/or pre-weigh systems available. 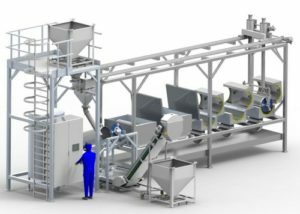 The PF45 is ideal to use with larger pelleting batches and/or automated pelleting- and encrusting lines. This powderfeeder has a capacity of about 0.3-4 l/min which can keep up with the with the necessary capacities for a typical HR800 or PC-XL process. In addition to the powder feeder can be provided with a host of alternative but standard transmissions whereby the capacity can be perfectly adjusted to your specific process. All PF dosators are equipped with a mixing arm for prevention of separation/de-blending/bridging; this ensures that the different components cannot DE-mix during the pelleting and/or coatings process. For complete automatic systems there are loss in weight and/or pre-weigh systems available. ◦ Standard mounted on 4 swivel wheels for optimum mobility and flexible access to the coating pan. With the SLSS you can easily, quickly and accurately process your liquids feeding to the coatings. Are you tired of making a mixture every single time? Then the SLSS the perfect solution! The SLSS doses each individual component directly from the container as it comes from your supplier. By a loss in weight system the SLSS always knows how much of each component is added and it is directly adjusted by means of an intelligent control. Accuracy of dosing is extremely high: ± 0.3 gr dosing. The static mixer ensures that the components are well blended in your coating process. We can deliver the SLSS as Stand Alone or integrate into our coatings systems. Each coating process requires a premixed slurry, to prevent this premixed slurry from de-mixing/settling it is important to have continuous movement. 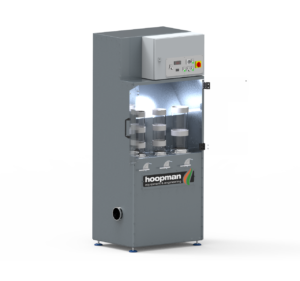 Hoopman delivers several standard sized liquid mixing systems. Each mixer is made with a cone bottom to be sure that it completely empties. The mixers up to 300L are standard mounted on swivel wheels which makes it extremely easy to move around you plant. Each mixer is frequency controlled to let it have a intensive mixing when the liquid blend is made, and have it a less intensive, but slow movement to prevent de-mixing/settling. We have several different standard sizes available, from 90 up to 900L. Ask us for more information. With Drying Beads® you can dry directly whitout using a conventional drying system. The Drying Beads® can be directly put into your seed package. When the Drying Beads® are full of water you can easily regenerate them by putting it into an oven. This product is especially usefull at locations where you do not have a conventional dryer available. For more information see the attached PDF or contact us. 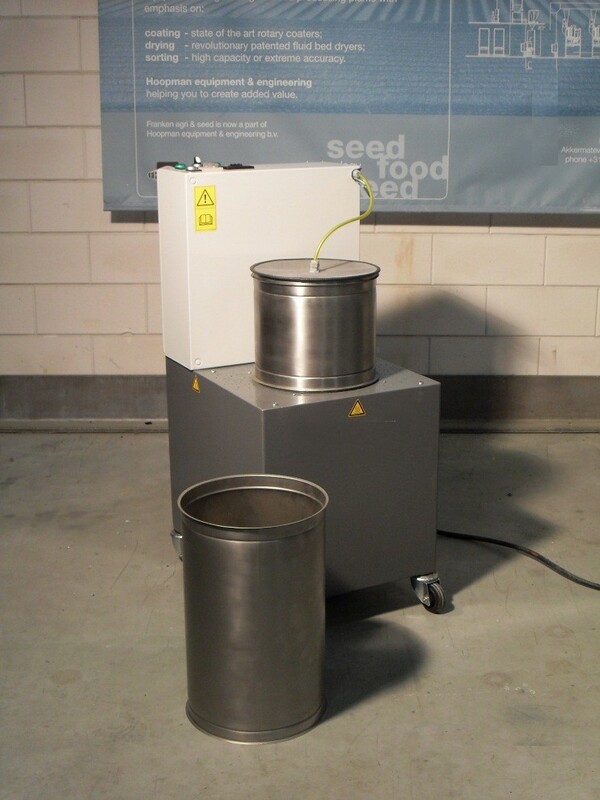 The IRCD is a perfect combination for coating/drying of either small (75kg/h), up to large batches (2500kg/h) of seed. One of the big advantages of this system is the quick changing from automatic coating/drying system to a fully manual controllable coater. 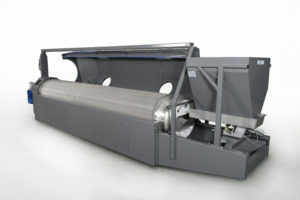 A special feature of the Rotary Fluid Bed Dryer is the de-dusting during the drying. Because of the technical design the seeds are dried and de-dusted in one machine. The whole machine is controllable with the PLC and Touch Panel. This makes the machine easy to use, and it has the opportunity to save different coating recipes (up to 100) to reproduce the coating application. This system can be constructed for you in several dimensions, download the infosheets to discover the possibilities. 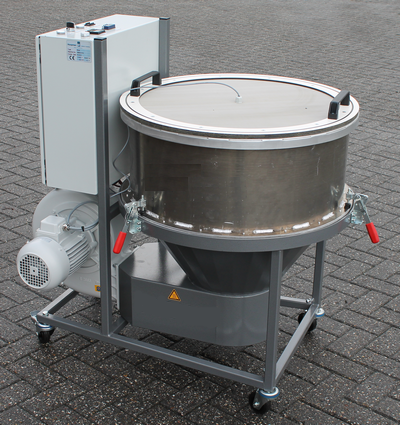 The NEW state of the art VCS-600 sieving system makes accurate calibrating and sieving of your seeds much easier. 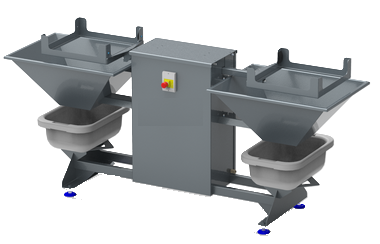 Due to our special designed sieve clamping system, you can now easily exchange your sieves. 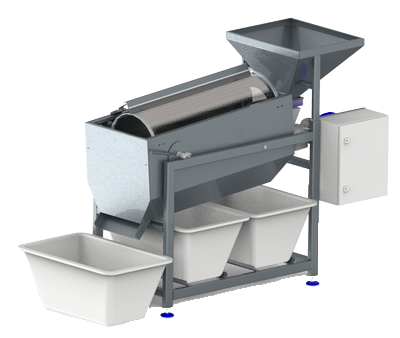 The sieve system is standard equipped with an inlet system, dust/noise hood and control box to make it plug & play. You can place 3 sieves of 600x800mm inside the frame to sort your product into 4 fractions. The new design of the RS480 reduced the noise, makes the placing of the bins more easy and is better according to safety. 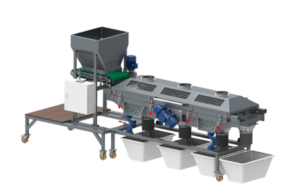 This sieve is to quickly separate doubles/blinds from good pellets during start and finish of the pelleting process (in order to be able to come close to 100% recovery i.e. 1.000.000 seeds will give 1.000.000 pellets). Every now and then the operator will have a small portion of pellets that need to be ‘cleaned’ from dust/seed/doubles/blinds. Typically about 2-4 times, some 100 – 1500 gr. of pellets/seed/dust/doubles/blinds will have to be quickly sieved. Optionally we have a sieve storage cart system available to store all your sieves in an easy way. This cart is standard mounted on 4 swivel wheels which makes it flexible and easy to usse. PDF Fill in the form below and a link to the PDF-file will be shown. The specially designed Hoopman seed containers are made without any sharp corners. Due to this design the seeds cannot get stuck in the container and a complete emptying is secured. A special designed slide valve, which is easy to operate, is mounted to the bottom of the seed container. With this valve you can easily open/close the container. Even during the emptying. We can deliver this containers in several standard dimensions, but optionally we can build them based on customer request. 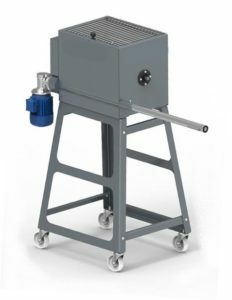 The CSS-400 is a sieving system which calibrates with a rotating cylinder. This machine is often used in pelleting processes to calibrate the pellets on its shape. The power of the machine is the simple design, and the ‘no-tool’ sieve changing. This highly flexibility and simply design makes this machine perfect for your pelleting process. This Unit can fill your powderfeeder by weight. By placing big-bags of powder on the dedicated funnels, you can fill the powderfeeder with two types of powder per unit. The big-bags must be placed in a rack so that they can bulge out well. If the level does not allow you to have enough “hang”-height for the Big-Bags, you can use powdercontainers. If you are interested in this system, please contact us. 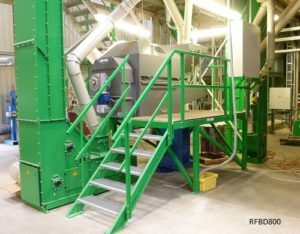 The RFBD800 system is specially designed for dedusting and condition your treated seeds directly after treating. Because of its compact design it can be placed behind every kind of treating system already in place. The RFBD800-7 conditioner has a capacity from 4-8t/hr (wheat seeds). We can also deliver a complete system including a rotary coater to have a complete automated coating/drying installation. Capacity varies depending on your rotary coating process, when you give us the needed capacity, humidity and process variables we can dimension the conditioner for you. Due to the variety of coating processes and humidity conditions of your specific business we configure the dryers based on our test equipment. Ask us for more information about a dryer for your specific process. The is a new small belt conveyor to transport seeds to a production system when there is not enough height to do it by gravity. The is an open, easy to clean belt system which can be used for several seeds. The can be made in several sizes and slopes, to fit almost every required height/length issue. If you are interested in this system, please let us know. did rebuild their rotary fluid bed system to make “low cost” conditioning / de dusting possible! have a good de-dusting and controllable and repeatable curing of your coating layer. 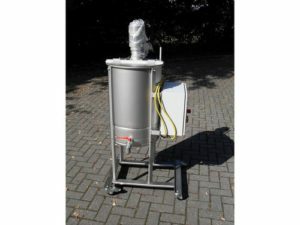 The BioFlash is a brand new developed biologic disinfection system with already proven results on several seed species. The machine is developed together with several seed companies to prove the effect of the steam disinfection. The BioFlash Lab system gives you the opportunity to develop steam disinfection protocols and even do production of small seed lots. The machine is easy to use due to the intelligent software and protocol setup.